Once again it is the beginning of a new year and historically the period when many homeowners in the Algarve decide now is the time to sell. It is also the time of year that we encourage our existing vendors to take a moment to look for ways to improve the presentation of their property. First impressions are crucial to anybody who is looking to buy a new home and that is why it is your job to ensure that your property is looking fresh and clean. You do not need to be a DIY expert or a top interior designer to make a real difference to your home. By simply taking the time to put a little effort into the presentation, you can vastly improve the perception of your property and beat the current competition in the market. Your property is usually just one in a very long list of properties a buyer will see, so it’s crucial that they see it in the best possible light. The more desirable your property appears, the better your sale price is likely to be. Clean, clean, clean. Preferably before every viewing but we appreciate this may not be practical. If you are away for any period of time it is important that you consider hiring a cleaning service to stop by every week to keep the property fresh. Just like a used car, a property that appears clean and well-cared for is more valuable than one that appears to have been neglected. Banish smells. These include pets, left out pet food, full bins, cigarette smoke, cigar smoke, fried bacon, dirty clothes……the list goes on. We live in a country with fantastic weather so take advantage of this and open all windows and doors to air the property thoroughly before any viewing as bad smells often turns buyers away. The smell of fresh bread. If you enjoy baking at home remember that one of the most popular smells to walk in on and sure to make your home stand out amongst the others is the smell of fresh baked bread or biscuits. Clear out the clutter. You want buyers to focus on how spacious your property is and not how messy it looks. Remove the shoes from the entrance hall, clear out the magazine rack, empty the waste paper baskets or clear out anything else that distracts viewers from focusing on your property. Keep the décor simple. To help buyers imagine themselves in your property, remove any non-conventional art or other décor that might put people off. A Ria Formosa landscape painting? Perfect. Your Del Boy style fluorescent green bedding? Well you might want to switch that for plain beige covers for the viewings. Neutralizing the property. Irrespective of how much you love your eye catching maroon coloured dining room, it could turn off a good portion of your buyers. So repaint your rooms in neutral and light colours. Remember that you are trying to present your property and appeal to the masses and not the few. The curse of personal objects. Simply remove any unnecessary items out of view by storing them in cupboards or drawers or by having a proper clear out. It is important to hide the family photographs and other items which personalise your property. The potential buyer needs to imagine themselves living in the property and if it is littered full of personal objects then they will find it more difficult to do. Closet spaces. Storage space is a huge selling point, and if your closets are full to bursting, buyers will think you don’t have enough of it. Invest in boxes and other solutions that will help you make your personal property more organized. Again we reiterate the need to de-clutter by removing extra items you don’t need. Bright light, bright light. Open up all shutters, blinds and curtains to let in natural light and add floor or table lamps to areas that have poor lighting. Increase the sense of space with mirrors and leave all internal doors open. A bright room looks bigger and much more inviting. Bring in the plants and flowers. Potted plants or flowers in vases can help lift even the most stubborn rooms. Plants and flowers bring in energy and life to empty areas within the room. Banish bulky furniture. Your furniture should match and also fit the scale of each room. Remove any oversized or extra items that could make your rooms appear smaller than they really are. In smaller bedrooms maximize the space by using single beds. Finish Odd Jobs. Taking time to repair a leaking tap in the kitchen, replace a broken terrace tile or varnish the wooden pergola are examples of some of the ways, as owners, you can improve the chance of selling your property. Even the easiest and inexpensive tasks such as replacing light bulbs will help in the presentation of a property. Pay attention to the bathrooms. Again declutter as much as possible and clear the vanity units, bath borders and sills. Leave out scented candles and plants whilst making sure bathmats and towels are clean or new and matching. Always, always close the lid on the toilet. Mini renovations. Little changes can make a real difference in the overall perception of a room. If the kitchen is a little outdated, paint the cupboards (neutral of course) and replace the handles. Get new and matching lamp shades for the living room. If the furniture in the children´s play room has taken some punishment then throw some slipcovers over it. Give each room an identity. The spare room you’ve been using as an office and a guest room and a storage area will not appeal to buyers unless you show them how they can use it themselves. So set it out as either an office or guest room and clearly define its use. Outdoor space. Don’t spend all your time focusing on the internal aspect of your property. 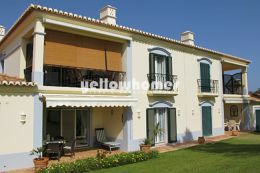 Buyers looking to buy in the Algarve want that perfect outdoor space. Create an ambiance both for day and night that compliments the patio or terrace and that demonstrates real understanding how best to utilize the space. On a viewing please let us do our jobs. Remember it is always better if the vendor steps out of the property when the agent arrives with the potential buyer. Purchasers are rarely honest about a property in front of the owners and as agents we need them to be open with us so we can address and solve any issues that arise. 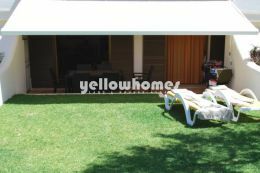 For further advice and individual assistance on how to make the best of your property to encourage a quicker sale please contact our helpful Yellowhomes Team on 289 301 294 to make an appointment. We look forward to hearing from you.